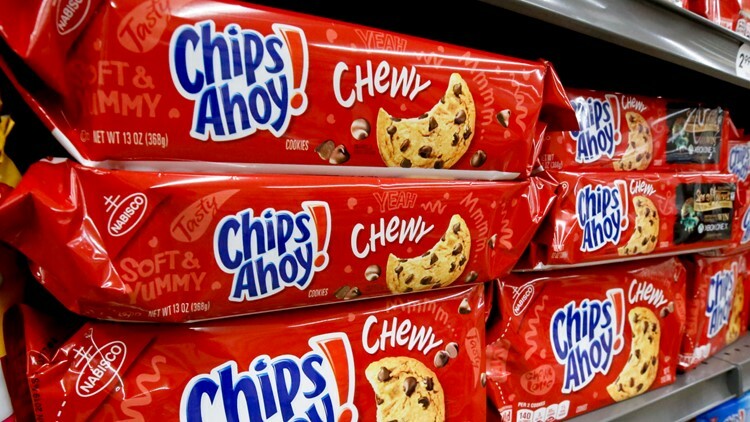 Mondelēz global is recalling some Chips Ahoy! chewy cookies because in some instances cornstarch solidified in the baking process. Mondelē z Global LLC announced a limited voluntary recall for certain boxes of Chewy Chips Ahoy! cookies Saturday. The company said that certain boxes of the cookies contain an "unexpected solidified ingredient," and that they have received some reports of "potential adverse health effects." Company representative Elisabeth Wenner explained that there had been some instances where the cornstarch in the recipe didn't fully incorporate in the mixing process and solidified during the baking process. Wenner added that a small number of consumers reported gagging, choking or dental injury, but they've been unable to confirm any of those reports at this time. "We issued this voluntary recall as a precaution, as the safety of our consumers is our top priority," Wenner said. Consumers with the product are urged not to eat the cookies. People with questions about their products can call the company at 1-844-366-1171 for more information.